It’s amazing to see the creative ways that churches are telling kids about Jesus. The following Minecraft themed vacation Bible school was sent to us by one such reader. Sarah Schlatter from Newport Mesa Church wanted to share this curriculum and materials with everyone here on our website. Click on the links below to download. Please come back and let us know how it went. Click here to download the ZIP file folder. 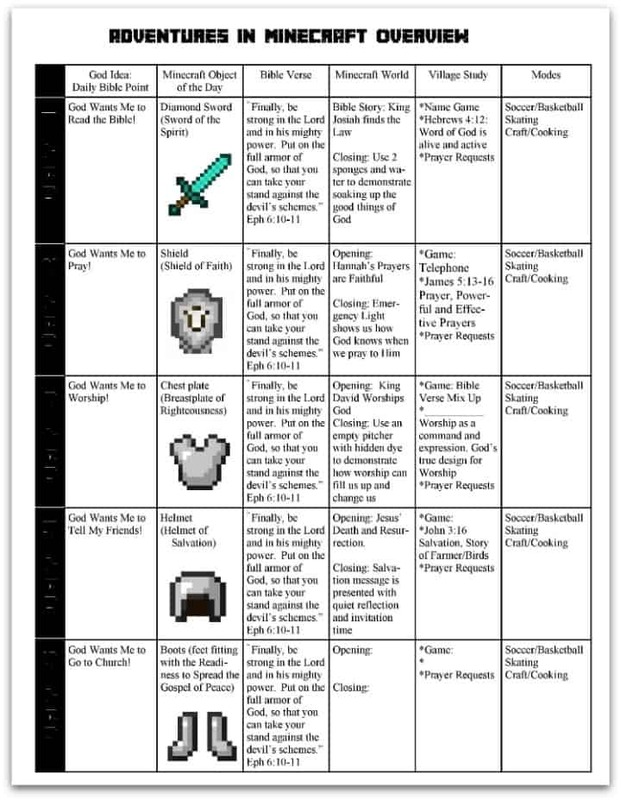 You can also get some ideas for Minecraft Bible lessons from JK Farmer’s blog. If you don’t know about Minecraft, Kidology has a helpful introduction. This is is so awesome. I am so glad God has raised His warriors to nurture children with the truth in most amazing ways. My children like so many others love Minecraft and it is really amazing how this curriculum brought this to life with gospel truth. Blessed be God the Father of our Lord Jesus Christ. I pray this find its ways into many churches, many homes ,many communities and into the hearts of many teachers and children. Tony Kummer (Editor) reviewed & updated this page on : October 18, 2017 at 11:31 am. All our content is peer reviewed by our readers, simply leave a comment on any post suggest an update.